German Rail (DB) has launched its “Advanced TrainLab,” which the company says will allow testing of digital technologies in a real-world environment and accelerate their deployment into service, railjournal.com reports. DB notes the test train is available to the whole industry to test future technologies, which it says are the key to providing more rail capacity, more climate-friendly mobility services, better system reliability and greater customer comfort. The test train is a class 605 ICE-TD DMU. DB says the diesel-electric drive will enable operations across DB’s entire railway network. The 107m-long four-car train has a maximum speed of 200km/h, allowing for a wide range of rolling wheel tests, and a 15-tonne axle load with sufficient interior space for instruments and test equipment. 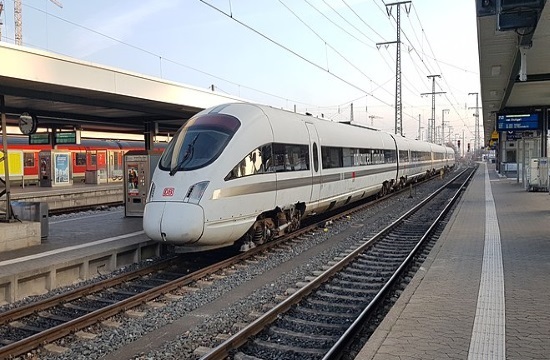 DB and Ericsson are currently installing three mobile antennae on the train as part of the 5G-Connected Mobility initiative, and the first tests have been executed on the Nuremberg – Ingolstadt high-speed line. The 5G network will be capable of transferring data 100-times faster than current networks, enabling passengers to access faster downloads while also improving the digitisation of rail operations and increasing capacity. In the coming months, the Advanced TrainLab will be used to trial sensor technology for object and obstacle detection, as well as signal and surroundings detection. Real-time train positioning will also be tested, as well as the data exchange between trains, cars and infrastructure, such as at level crossings, as well as the use of alternative fuels for rail vehicles with diesel engines.